Corporate Clients: Glaxosmithkline, Duke University Medical Center, Florida Institute of Technology and Columbia Unive﻿rsity. 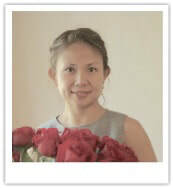 Judy Liu, MPH, has over 18 years of professional healthcare marketing experience. She was a senior executive at GlaxoSmithKline and Pfizer, Inc.. Judy Liu is a professor at UNC-Chapel Hill School of Media and Journalism, where she designs new courses and teaches various advertising/public relations undergraduate and graduate courses. She is also an adjunct professor with the Florida Institute of Technology where she develops new courses and teaches in-person online graduate and undergraduate courses. She was an Adjunct Professor at Columbia University Mailman Graduate School of Public Health, where she taught Total Quality Management and Assessment of Healthcare graduate courses. In addition to teaching and coaching over 700 undergraduate and graduate students to date, she has served as a lecturer and featured guest speaker at numerous professional association events (Healthcare Businesswoman Association, Women in Bio and Women in Health Management New York). She has been a Board Member for the following organizations: North Carolina Roadrunners Club, Central Brevard Art Association, Women in Health Management New York (professional women's healthcare network organization) and AIDS of New York.